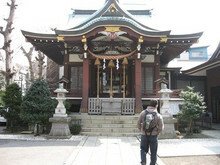 Learn Ninjutsu - the ancient martial art of the Ninja! 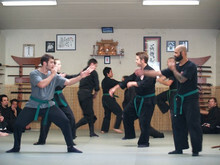 Once secret, you can now study Bujinkan Budo Taijutsu (Ninjutsu) and other related martial arts at Santa Cruz Bujinkan Dojo. This dojo was established over a decade ago and currently offers classes and training sessions all week long for adults and kids. This unique art emphazises the pursuit of enlightenment and universal justice with non-violent self-defense techniques. 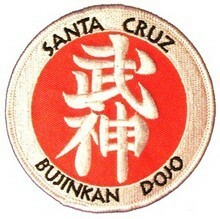 The Santa Cruz Bujinkan Dojo is directed by 12th Dan Sensei Mark Roemke, officially authorized by Hatsumi Soke in Japan. First class is FREE.